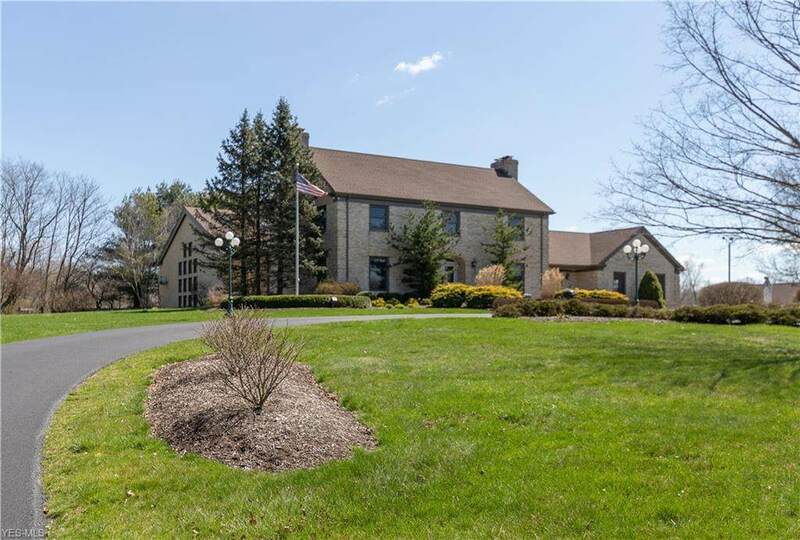 Magnificent custom-built estate on 6 acres in Canfield schools. Enter through a long winding drive way w/ canopy of trees and lamp posts up to the main front entrance. 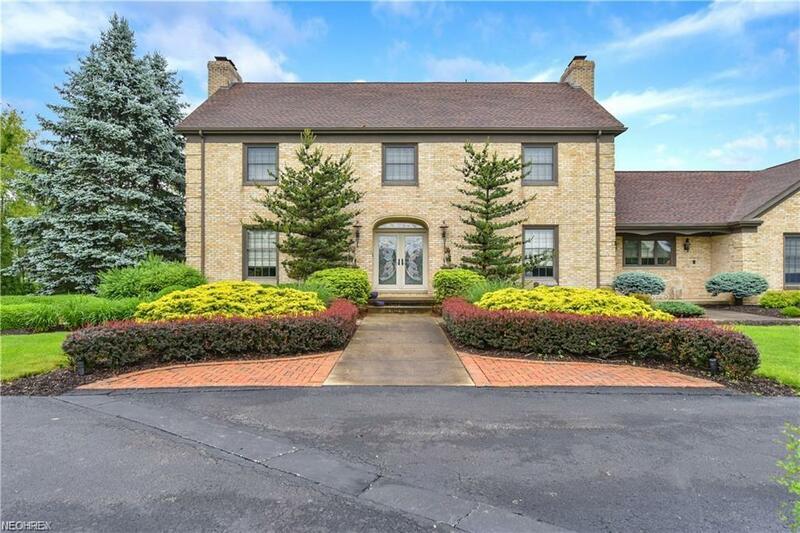 The all brick 2 story colonial home greets you with a large double door entrance into a tiled foyer. 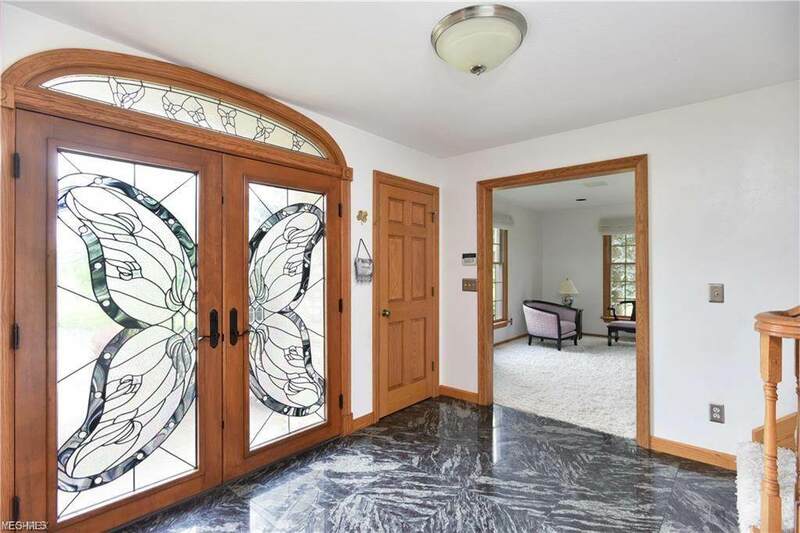 Formal living room with fireplace & an office w/ hardwood floors & built in book cases are at the front of the home. The kitchen acts as the hub of the home w/access to the formal dining room,& the family style eating area w/sitting room, & fireplace that leads to the family room. The gourmet kitchen has granite counter tops, subzero fridge, & a chefs stove, this amazing space also overlooks the indoor pool. The second-floor features 4 beds & 2 full baths including a master bedroom retreat w/ en-suite, his/her closets, private balcony & access to the pool via spiral staircase. In the basement is a theater where you can enjoy a drink from the full-size bar. The 4592 sqft pool complex begins w/the spectacular wood beamed vaulted ceiling. Even though you are indoors the numerous skylights, large windows & multiple sliding glass doors allow for an abundance of natural light to enter & provide access to the outdoor patio. The full-size bar, grilling station & half bath will truly allow you and your guests to enjoy this area. This space opens up to patios & yard. 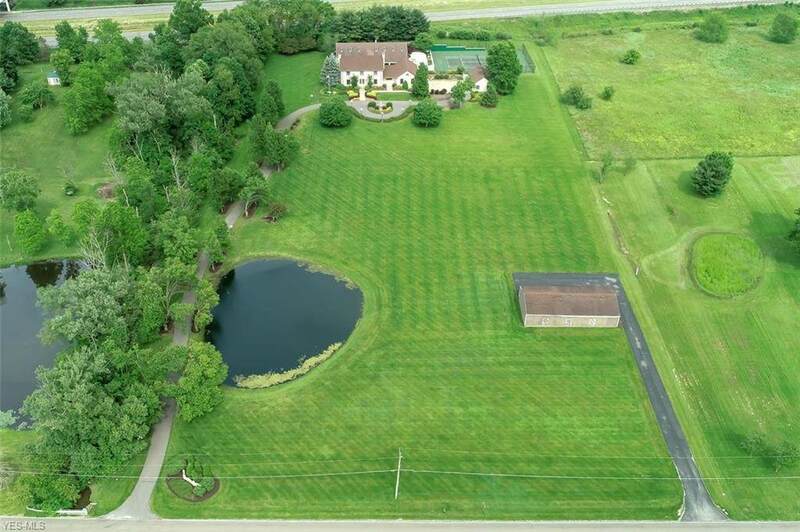 Outside is a 2.5 car attached garage, 3.5 car detached garage & a separate barn, tennis court, pond & grounds with views of farmland & country setting. Listing courtesy of Kelly Warren And Associates Re Solutions. Listing provided courtesy of Kelly Warren And Associates Re Solutions.